I first heard the phrase “terminal aesthetic” in a class on T.S. Eliot and Ezra Pound, who collaborated on the final version of Eliot’s post World War I edifice, The Waste Land. That poem, went the argument, traveled so far out on the edge, with its fragmented language and incongruous literary and historical references, that it couldn’t possibly serve as a basis for new forms of writing. Instead, Eliot had walked to the end of a promontory, and planted a flag to mark a creative and, perhaps, spiritual dead end. Now with regard to this literary experiment of yours. It's a considerable thing because you are a very considerable man and you have in your crowded composition a mighty genius for expression which has escaped discipline. But I don't think it gets anywhere. You have turned your back on common men — on their elementary needs and their restricted time and intelligence... What is the result? Vast riddles. Your last two works have been more amusing and exciting to write than they will ever be to read. Take me as a typical common reader. Do I get much pleasure from this work? ... No. So I ask: Who the hell is this Joyce who demands so many waking hours of the few thousand I have still to live for a proper appreciation of his quirks and fancies and flashes of rendering? 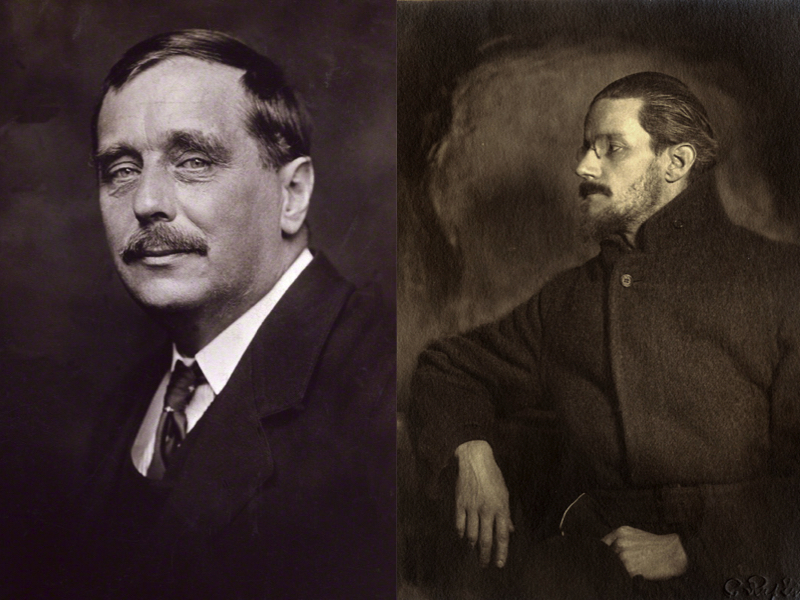 Read Wells' full letter at Letters of Note, who also bring us a letter from a "Vladimir Dixon," written in imitation of Finnegans Wake, and possibly penned by Joyce himself.